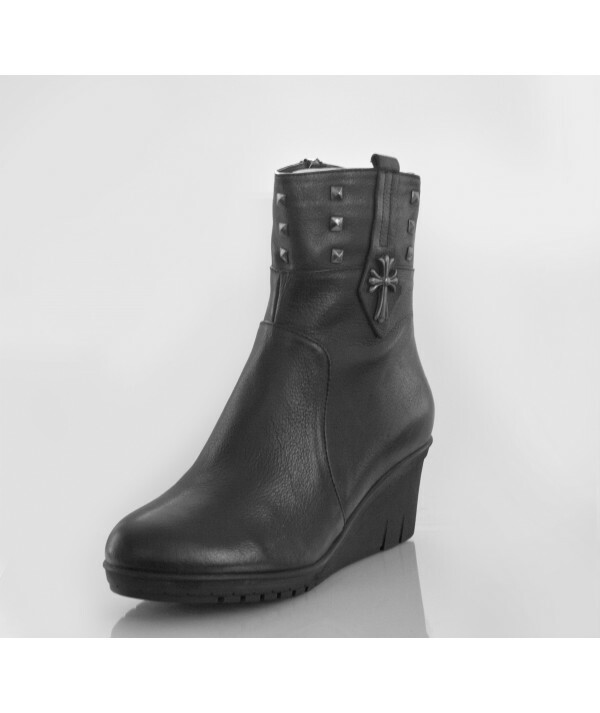 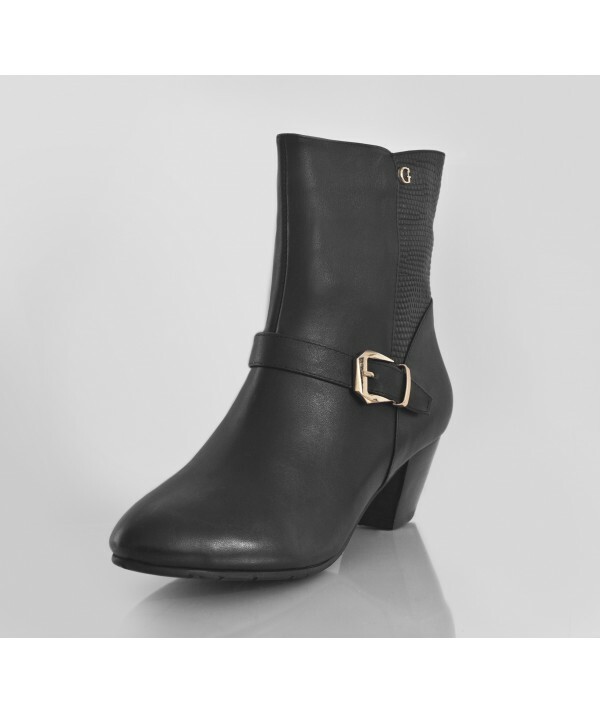 Sumptuous 100% leather boots with a pointed heel for effortless walking. By buying this product you can collect up to 25 loyalty points. 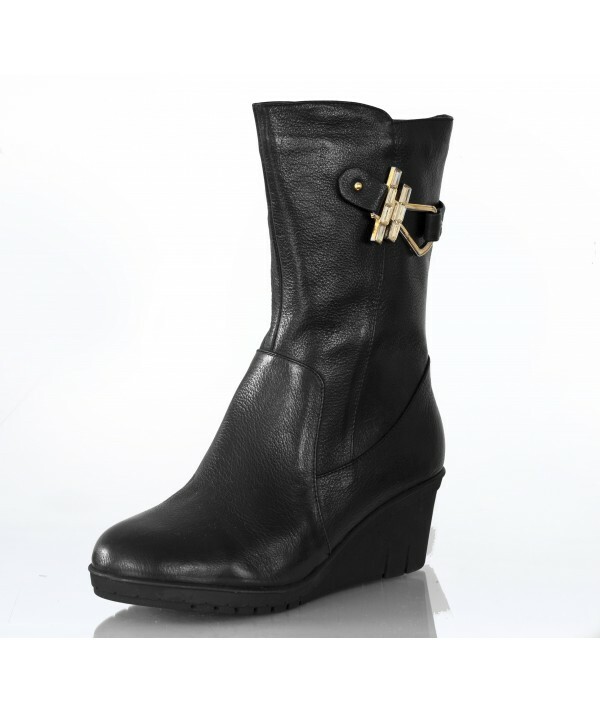 Your cart will total 25 points that can be converted into a voucher of $3.84. 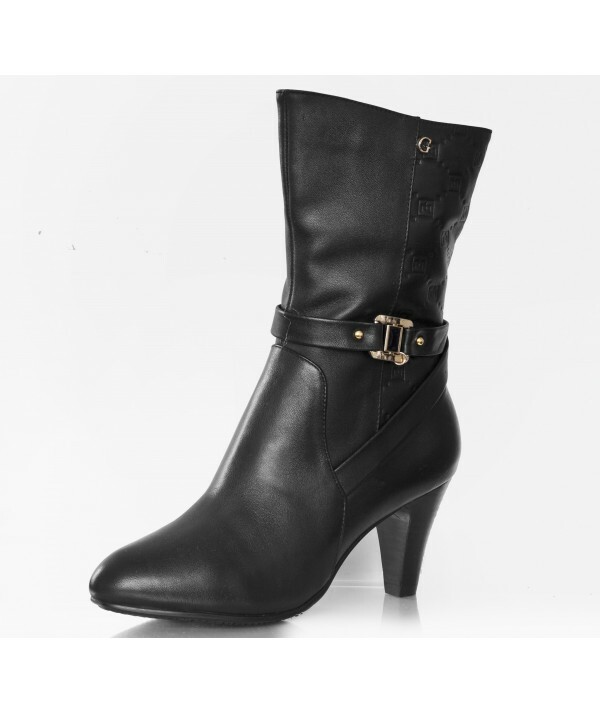 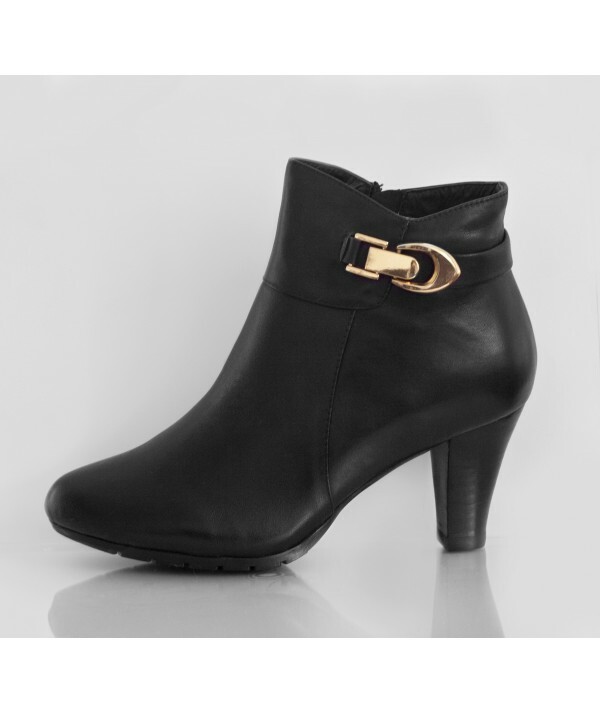 These alluring, highly desirable calf length boots have a highly polished look. 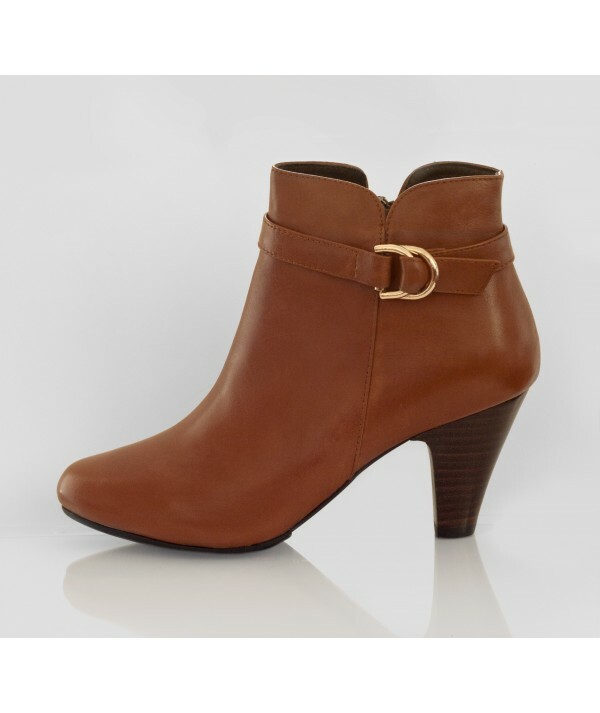 They are perfect for wearing with a short or mid length skirt and leggings, these boots will always be your “go to” wardrobe filler for those last minute outings, ensuring you always look well groomed and classy. 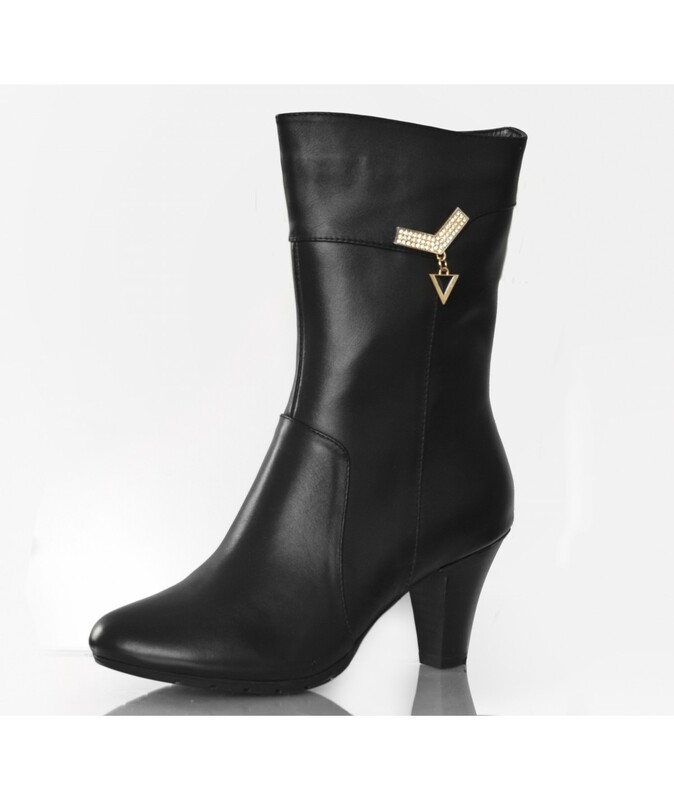 Featuring a statement gold tone and diamonte embellishment with drop pendant to add a stylish edge. 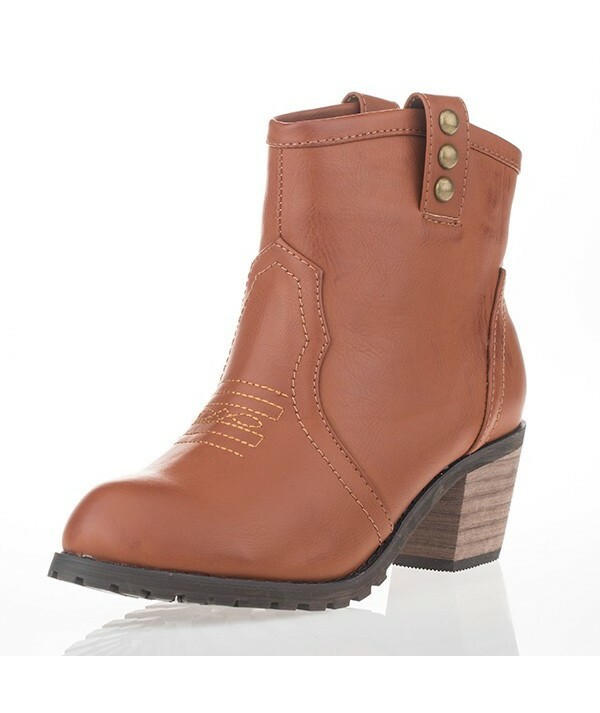 Boots that will go the distance and will last you for many winters to come without going out of fashion.